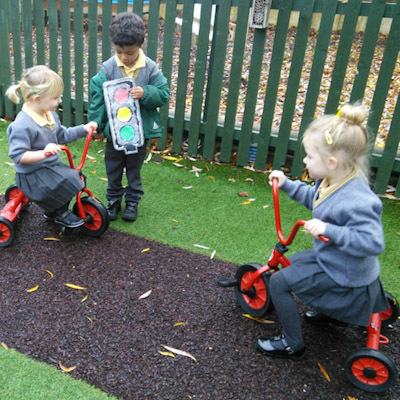 'Beep Beep' Day for Fir Cones Pre-School and Reception. ‘Beep Beep’ Day for Fir Cones Pre-School and Reception. 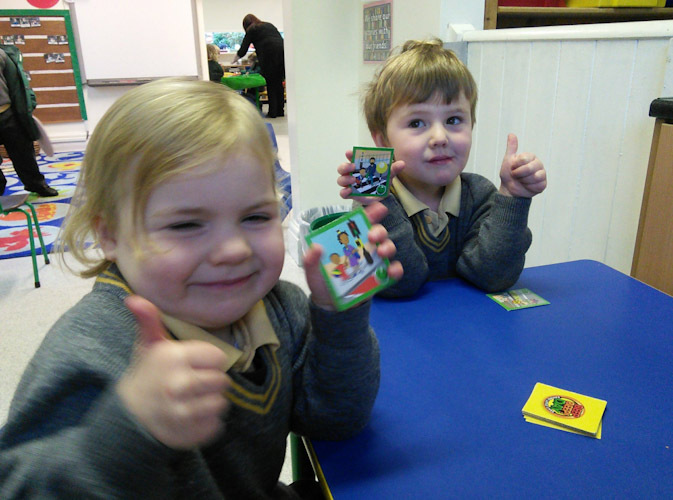 What a fun morning our whole Early Years Foundation Stage had recently in their integrated ‘Beep Beep’ session. 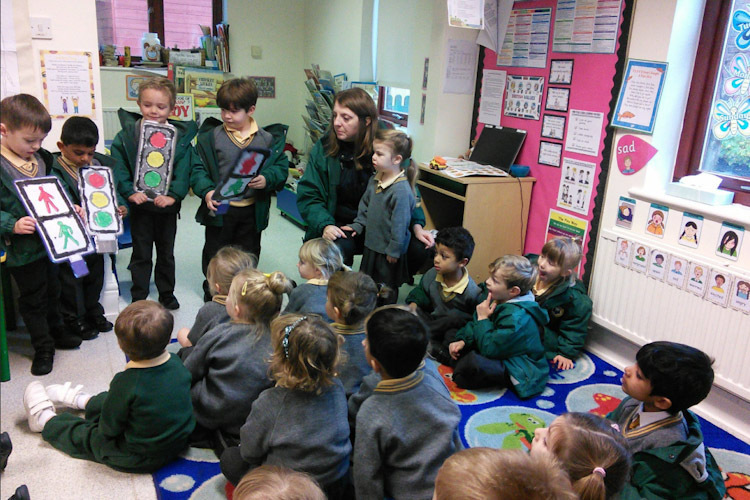 The children joined together during Road Safety week to find out about keeping safe when near to a busy road. They talked about holding hands as well as finding safe places to cross with an adult. 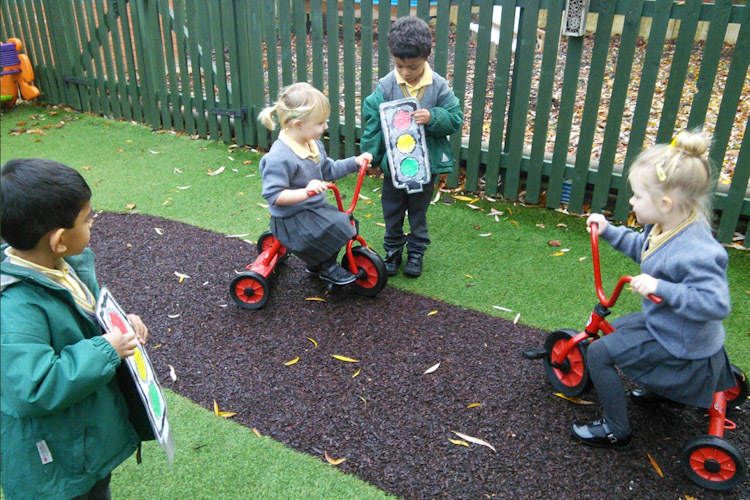 The children in Reception made road signs and used them to help the Nursery and Kindergarten ride their bikes safely around the bike track.